Zafar Brooks joined Hyundai in 2005 as General Manager for its Western Region. He went on to create the office of CSR and D&I for the company in 2007, a position he continues to hold today. Brooks has also worked for Ford Motor Company and Volkswagen, holding positons in sales, finance, finance, and marketing. 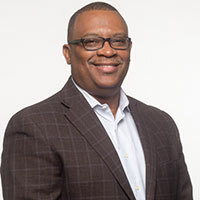 At Hyundai, he has created outreach initiatives with leading organizations to enhance the company’s engagement with women, LGBTQ, Hispanics and African American consumers. He launched a diversity council and implemented employee resource groups. Brooks developed a long-term CSR strategy for the Company that supports STEM education, children’s health, cultural experience and community empowerment. He also serves as the executive director for Hyundai’s non-profit, Hyundai Hope On Wheels. Under his leadership, the non-profit has raised over $130 million for pediatric cancer research in the U.S.
Brooks has been recognized with several awards, including recently the prestigious Langston Bar Association for Corporate Citizen Award (2017), for in advancing diversity and inclusion. Other awards include HRC CEI Award; CSR Professional of the Year; White House Pediatric Cancer Conference; Global Philanthropic Leader; and Top Diversity Executive in Automotive. Brooks holds degrees from Fisk University (BA), Webster University (MA), and professional certificates from The University of California Irvine and Duke University. He is a member of Kappa Alpha Psi fraternity, and serves on numbers foundation boards. He is a frequent guest speaker on CSR, Diversity, and Business Strategy, and authored numerous articles on the topics.